I am a huge fan of The Body Shop and love loads of their products, the body butters being my absolute favourites. They are always my answer when someone asks me what I would like to receive as a gift. The satsuma scent is my first preference. I love this scent so much I have even bought the body spray so I can layer the fragrances. For some reason companies always inflate the price when converting to Euro. In the UK these retail for £13 in Ireland they cost €18.99. I think that is very expensive for a body cream and hence the reason I only receive them as gifts. I can't justify forking out nearly €20 for a body cream which doesn't last me that long. I love the packaging. 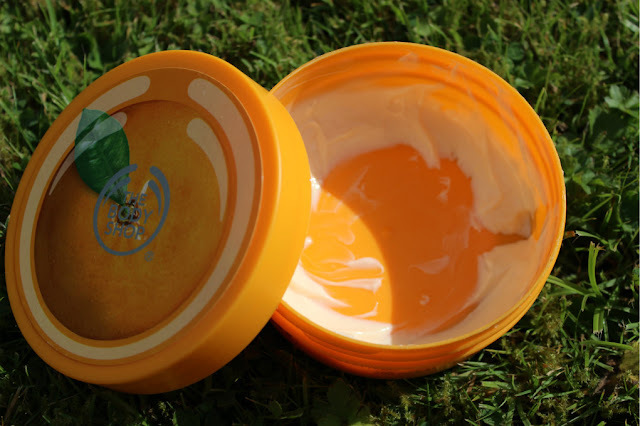 It is perfect for a body cream and there is no messing with a tube trying to get the last of the product out and after paying such a hefty price tag you want to ensure it is finished. They recently redesigned the print work on the packaging and I love it. It is very sleek and minimal. I adore the product. I find it really does the trick moisturising my dry skin and the smell lingers for ages which is beautiful. When I put it on a night you can still smell it the next morning. The only thing about the smell is when they redesigned the packaging the changed the smell. It still smells similar but not like it use to! This upsets me greatly!! It is much more of a perfume fragrance now rather than the beautiful orange scent. It still is a very good product and feels amazing on the skin. 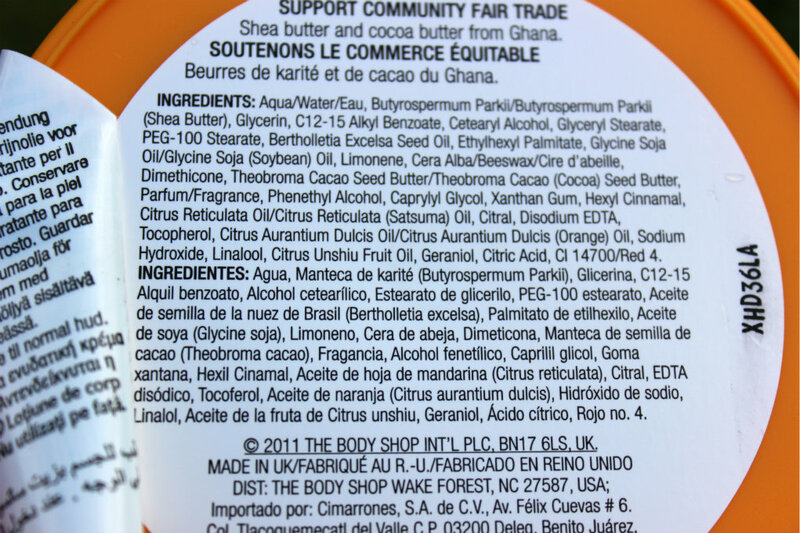 But it was the smell that made it an exceptional product for me so for that reason I wont be repurchasing it. Have any of you girls notice the change in scent? At first I thought it was me so I asked my cousin who is also a huge fan of this product and she agreed with me that they had change the scent. 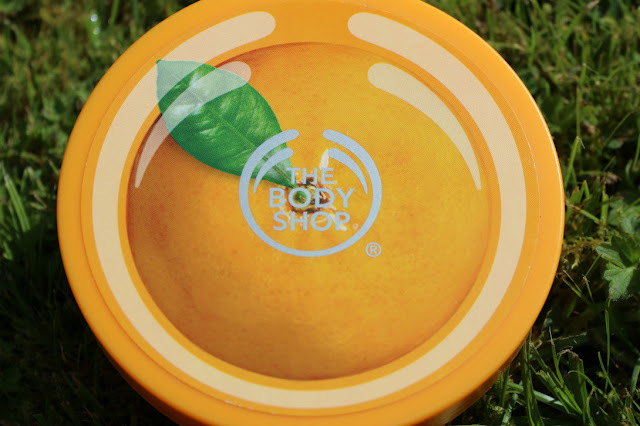 I really appreciate the new packaging that the body shop has put on there body butters :) Its really cool that they have changed things up a little! This is one of my favourite scents ^^ Thanks for sharing ! I found your blog through BBU blog hop. I have followed and hopefully you will check my blog out too !